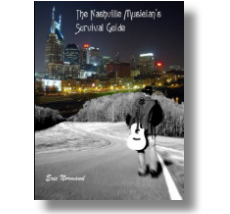 Ask any musician or songwriter that’s been in Nashville for a while if they’ve ever heard of, or been to the Fiddle and Steel and most will say yes, for sure. 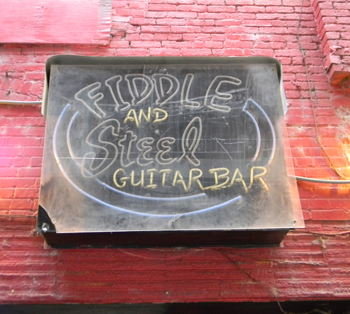 The Fiddle and Steel Guitar Bar, aptly dubbed “The Steel”, is located in historic Printer’s Alley off of Church Street and has been a staple of the Nashville nightclub scene since 1996. 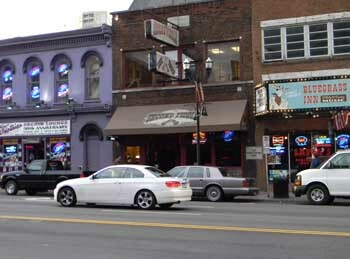 This homey, rustic club, often referred to as “the cheers” bar of Music City, is a place where musicians, artists, tourists, and locals gather to enjoy great music, see old friends, and make new ones. The Steel has also been a launching pad for some of the biggest artists in country music today, including Rascal Flatts, Eric Church, and many others. To many musicians working within the Nashville music industry, the Steel is a special place, kind of a home away from home. The club’s owner, Alison Bradsher, takes great pride in creating a vibe that is comfortable and relevant to music industry types, while still appealing to locals and tourists. The club has a decent PA system and one of the best sounding stages in the city, making it a desirable room in which to perform. In line with the clubs friendly nature, guest musicians and singers sit in regularly with the house bands, a tradition that dates back to the clubs earliest years. Over the years, many Nashville players and artists have established friendships and relationships at the Steel that have helped their careers, often leading to other gigs, touring and recording work, kind of a “gateway club” for some. So it’s no wonder that a couple of visits to the Steel by my wife and I during our “Nashville field trip” in 2002 helped prompt us to move here in the first place. 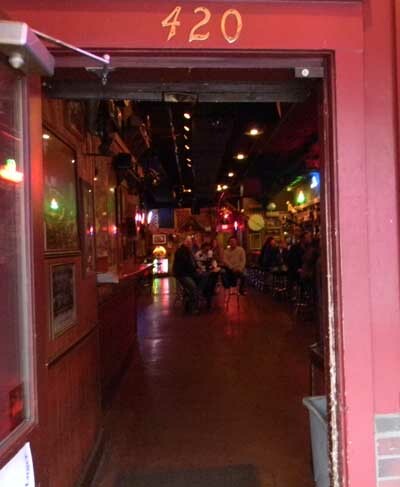 During my first year in Nashville we were pretty steady regulars at the Steel, hardly missing any of the Tuesday night jams hosted by Ronnie Pittman, and frequenting the club as often as we could. 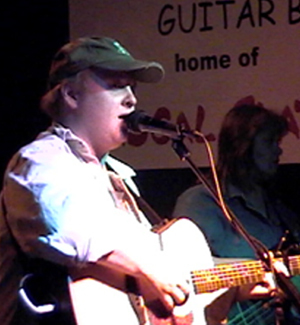 By September of that year I was gigging regularly with Ronnie on Mondays at the Second Fiddle on Broadway while playing in Kentucky on the weekends, and it was during this time that I first met Frank Taylor, a talented singer and songwriter who frequented the Steel quite a bit back then. A deep-rooted part of the club’s fabric, Frank was one of the very first singers to ever perform at the Steel, and whenever he was around; his presence only seemed to further enhance the charm of the place. So when he asked me if I would be interested in playing guitar for him at his regular Saturday night gig there, of course I said yes. He’s a great singer and audiences related to him, the club was a great hang, and I was ready to take the next step in my Nashville evolution – pretty much a no-brainer. So I gave notice to my house gig in Kentucky and started playing every Saturday night at the Steel. 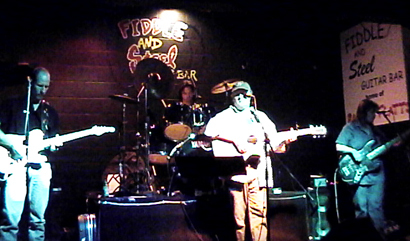 I’m not sure how this lineup came to be, but our band consisted of Frank on lead vocals and acoustic, Jack Gavin on drums, Brenda Clarke on bass and vocals, Steve Poole on keys, and me on electric guitar and vocals. It was a great lineup, we gelled well. 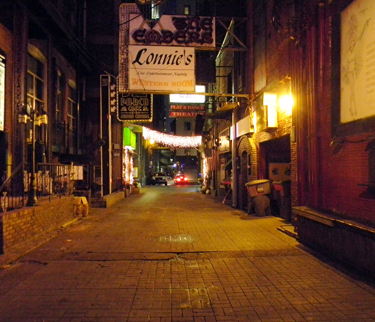 Every Saturday night I would park in a nearby parking garage and wheel my gear down the old cobblestone street of Printers Alley, past the Bourbon Street Blues and Boogie Bar, and into the Steel. Every gig was an adventure, you never knew who might show up or what we might attempt, so I was genuinely excited to play. Frank isn’t the typical country singer; he has a unique angelic quality to his voice – soothing, soulful, yet compelling and almost hypnotic. He sang songs by artists like Vince Gill, Delbert McClinton, the Eagles, Jimmy Buffett, CCR, all of course with his own spin. He could make you laugh too. At least once a night he would say something like “Kelly’s coming around with the tip jar, and this is how we make our living in Nashville. If you could just spare a few dollars, I’ll be able to pick up some Krystal burgers for my daughter on the way home. Please throw in some money so I can feed her, she hasn’t eaten all day.” This was especially funny to anyone who knew Frank, as he didn’t even have a daughter. Frank genuinely enjoyed singing and entertaining and this feeling was infectious, usually spilling over into the other players, the crowd, and the staff. After playing a good long hour or so for our first set we would take a break, and then, during the second set, we would get up any players and singers that wanted to sit in. The guests could range from some young aspiring singer on vacation from out of town, to touring musicians on hiatus, to artists like Joe Nichols or Toby Keith. Even the occasional tourist who wanted to sing Margaritaville was welcome on our stage (although most of the tourists had no business performing anywhere other than in a karaoke setting). So that’s how I spent my Saturday nights for quite a while. We never had a rehearsal and didn’t really hang out together outside of these gigs, but we were a unit. By the time a couple of months had passed, this band was tight! Sometimes one of us would have to sub out our gig for something more lucrative, and eventually a couple of the other players moved on, but for a while, this lineup held together. And while I wasn’t making a lot of money, I was having tons of fun, gaining experience, and making contacts. By the middle of the summer of 2003 I was offered a road gig that I couldn’t turn down, and had to give Frank my notice. Ironically, the road gig came about through a friendship I had made at the Steel. Looking back, those seven or eight months I spent at the Steel with Frank and the gang were among some of the best times I’ve had in Nashville. We may have all been on our own separate paths, searching for the next big gig, publishing deal, or connection, but once a week our paths crossed and we came together to play music and forget about our life struggles. Time stood still at the Steel on those nights and it seemed like those moments would last forever. Since those days, everyone that was in that band has moved on to different gigs. Isn’t it funny how life’s circumstances bring people together for a common purpose only to eventually spread us apart again like ash strewn to the wind. Even though I haven’t seen or spoken to some of my comrades at the Steel since those days, I’ll always have great memories of those times. For me, that’s what a great night club experience, or life for that matter, is all about – sharing good music and fun times with good friends, even if only for a brief moment. Thanks Frankie! 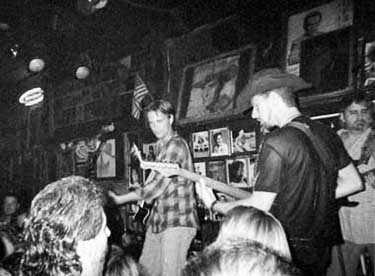 It was sometime in the fall of 2002 and my wife, Kelly and I were attending our weekly Tuesday night outing at the Fiddle and Steel. Already having sat-in earlier in the night, we were getting ready to leave as it was getting kind of late, when Ronnie Pittman, the singer and host of this unofficial jam night, approached us at the bar. 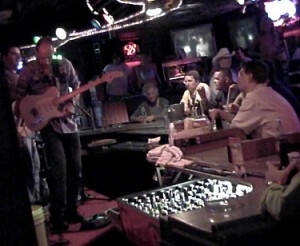 “Hey man, I need a guitar player to play some Monday nights with me at the Second Fiddle. Are you interested?” he asked. “I’d love to, thanks for asking.” I replied, further adding “One thing I should tell you upfront is that I’m not totally up on all the old country stuff yet.” “That’s no problem; we don’t do that many old country tunes. And besides, the last thing I need is another guitar player that constantly plays ‘dubadibby dabaduboo dubadibby dabaduboo’.” he explained, mimicking a cliché sounding rapid-fire guitar lick. “Great, I’m there!” I exclaimed. 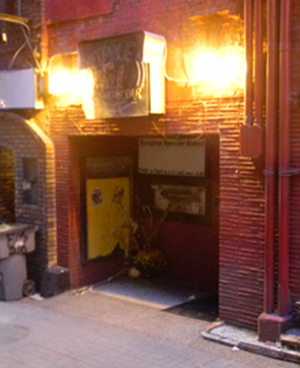 The following Monday I arrived early to the Second Fiddle on Broadway, double parked to load in my gear, and then drove around for about 20 minutes looking for a free parking space. 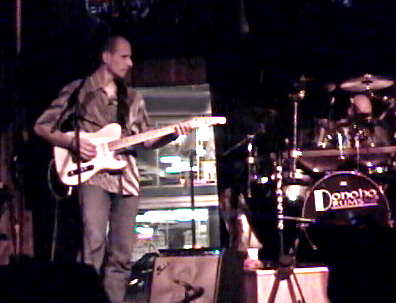 After setting up my stuff and hanging for a bit with Ronnie and the band, our night of music began. Ronnie played a mix of contemporary country ranging from Travis Tritt to Little Texas, some 80s and 90s country/pop from groups like Exile, a few old school country tunes, R&B from the likes of Delbert McClinton and Van Morrison, and some classic rock from groups like the Eagles, the Allman Brothers, and Steve Miller. 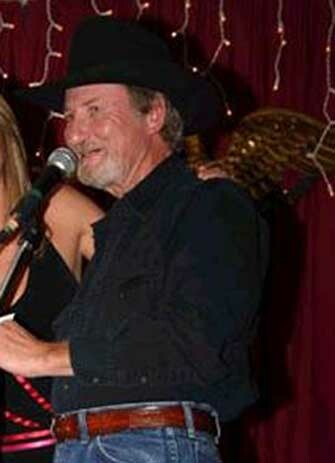 His wife also sang harmony and lead vocals and fronted the band on a few songs by artists like Martina McBride and the Dixie Chicks. I knew a lot of the material and managed to feel my way through the songs I didn’t know. We played a couple of long sets with a break in the middle and, although people wandered in and out of the club all night, I don’t think the crowd ever got above 15 or 20. Nevertheless, the music was enjoyable and we all had a good time playing. At the end of the night I tore down my gear and waited for Ronnie to count the tips (I think the grand total was something like $28 apiece including the base pay of $20 each). The short pay was all right with me, as I was still trying to gain experience and make connections. Ronnie thanked me and asked me if I wanted to play the following Monday, which of course I did, and told him so. So this became my first regular in town gig. And it was perfect. Ronnie was a real laid-back singer to work for, he always had a decent rhythm section, and his repertoire consisted of a lot of pop, rock, and R&B; styles I was already familiar with. 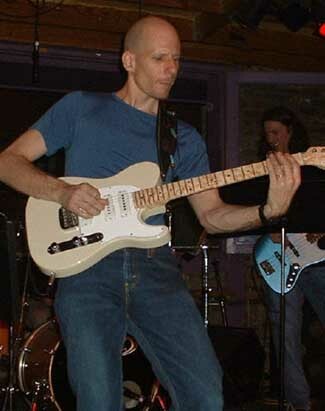 He did play just enough contemporary and classic country for me to explore my new chops in that area as well. Gigging with Ronnie also created some other opportunities. After a month or so of these gigs I did an out of town weekend with Ronnie and his band in Georgia. 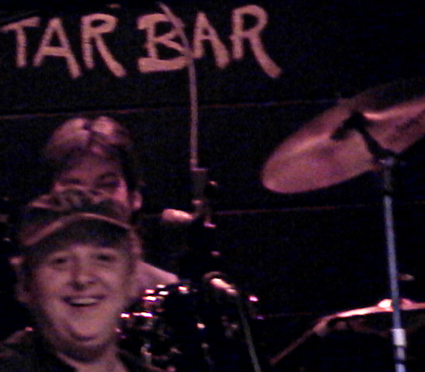 It was on that gig where I met a keyboard player Ronnie had hired named Gordon, and it was through Gordon that I landed the house gig at Libby’s in Kentucky. Another connection I made was through one of our regular attendees, a truck driver named ‘Bud’ who worked for Charlie Daniels and took a liking to my guitar playing. He stopped in for our gig once in a while when he was in town, eventually hooking me up with a friend of his who had an indie band called “The Watercolor Project”. 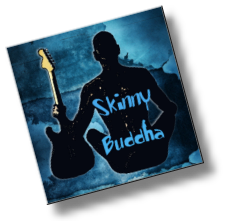 I wound up doing some recording sessions with this trippy rock band, a project and genre that allowed me to gain some studio experience in a far more relaxed setting than my virgin studio outing , a debacle that almost sent me packing a couple of months prior. So I was getting my country/pop thing happening by gigging with Ronnie on Monday nights, and honing my chops on traditional country on the weekends in Kentucky. While it was a lot of activity it still didn’t add up to enough to pay the bills, so I was still working the eBay/pawn shop angle pretty hard. One of my eBay sales, that of an old Tube Screamer that I sold for $75, was bought by another Nashville guitarist who suggested meeting in town to buy the pedal rather than shipping it. I e-mailed him about meeting at my Monday night gig, and the following week he arrived to do the transaction. This led to one of the biggest eye openers I had in that first year. I arrived downtown for my regular Monday night gig with Ronnie and set up my gear. After the first set I was still standing on the stage for a few minutes when a long-haired fellow approached me. “Are you Eric?” he asked. “Yes.” I answered “You must be Mark.” After exchanging a few brief words I presented him with one slightly beat up Ibanez Tube Screamer and he paid me $75 in cash. He then asked me how long I had been in town, to which I answered “I’ve been here for about six months.” He reacted with surprise, acknowledging my accomplishments with “Wow, that’s great. Six months and you’re already gigging.” He then added “I’m still working towards playing out, I’m not quite there yet, but I’m getting close. I’ve been in a couple of different bands so far, but nothing that’s made it out of the practice hall yet.” “How long have you been here?” I asked innocently. “Five years.” He answered and a deafening silence engulfed the moment. The stark reality that there are musicians trying to find their way in Nashville that are here for years had yet to stare me in the face with such clarity. It was almost as if an atomic bomb had been dropped right outside of the club. “I’m sorry to hear that, best of luck to you with that.” I mean, what else can you really say? A minute or so later we said goodbye, and the long-haired struggling stranger sauntered out the door. For me, that moment clarified a lot of things. It made me realize that there are far more musicians here than there are opportunities for them. It reaffirmed some of the advice I had received from my mentor, D, one piece being “Whatever you do, don’t join a band, band’s starve.” It made me further appreciate the fact that I was lucky enough to have a mentor here in the first place. It allowed me to view all of my gigs and performance opportunities with much more optimism. And it made me realize, in a town where so many struggle, just how fortunate I had been so far. The names of some of the musicians in this story have been changed to protect the innocent guilty. I first arrived to my new home in Gallatin, TN, some 30 miles north of Nashville on a warm summer night in June of 2002. My family and I had just spent two days driving across the country with all of our personal belongings stuffed into the back of a rented Ryder truck and, despite being exhausted, we unloaded the truck at about 8 PM before collapsing into a deep sleep. 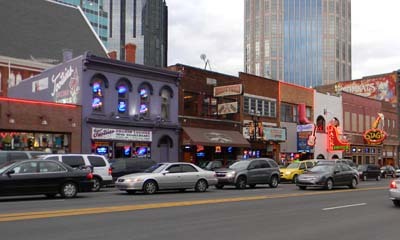 All I knew about this new world called Nashville was the vague description of a gigantic music community conveyed by my friend “D”, a world which I knew little about, but one I needed to explore quickly. While we did have some savings, employment was a priority, so after a day of unpacking, we ate dinner, took showers, and headed for the city to start getting acclimated. I couldn’t believe what I was hearing. Fresh off the boat and without a job in site, this seemed too good to be true. Now keep in mind that I still didn’t know how the Nashville music scene or community worked, so any gig being offered seemed like a good thing. “Yeah, I’m definitely interested in doing some gigs.” And with that we exchanged phone numbers. 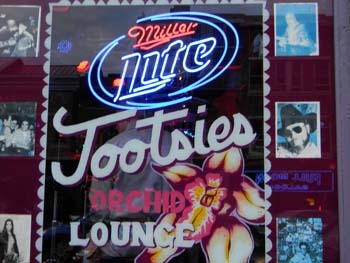 Of course I would later learn that in Nashville not all gigs are created equal (more on that later). After chatting with Freddie for a while the next day I accepted his three or four upcoming local gigs and agreed to attend a few rehearsals with his band to prepare. The next day I met him at a Mini Mart where he gave me a CD of his material. Always wanting to be prepared, I went home and anxiously dug in. This was where I would receive my first surprise. After popping the disc into my CD player I began to listen to a marginal recording of my new “band” and was a bit disappointed. The songs weren’t all that great, the musicianship was average at best, and the vocals were downright scary. “Well, maybe they’ll sound a little better live.” my wife, Kelly, optimistically encouraged. 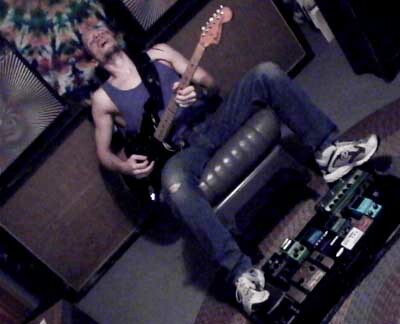 I learned the stuff and showed up for my first rehearsal at Freddie’s home south of Nashville, guitar and amp and hand. Shortly after rehearsal began it became apparent to me that the level of musicianship in this band was unlike what I had previously heard at the Fiddle and Steel and other clubs around town when visiting the city a few months prior. And when I say “unlike” I don’t mean in a good way. Again, I chalked it up as “Maybe they’re holding back because it’s a rehearsal and will sound better live.” Of course in hindsight, I should have known better, but hey, I was new to town and just happy to have some gigs lined up. This all seemed a little overproduced and over-the-top for the gig at hand, but hey, you can’t fault the guy for taking this $20 dive gig in East Nashville as serious as a show at the MGM Grand. To become successful, one must project a successful image at all times, right? So we walked out onto the stage single file and barreled through the first two poorly written blues numbers, after which, the audience of my wife plus 12 went mild. Freddie introduced himself and we played the third number which was followed by his first joke. While I can’t remember the specifics of the joke, I do remember that it was long, rambling, and not the least bit funny to me or anyone else in the place. The drummer’s “ba dat boom” didn’t help much either. 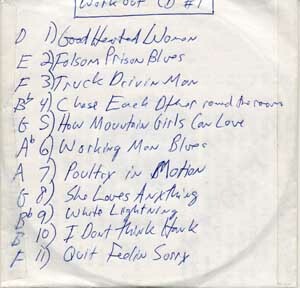 We dug back into a couple of more songs which, unfortunately, were also played with no more power or conviction then the weak renditions we had limped through at the rehearsals. So this was the show, we would play a couple of uninspired songs, then Freddie would tell a bad joke, a couple more songs, more bad jokes. The jokes were so bad that, after a while, you could hear groans from the crowd as soon as they realized he was going to tell one. That one more shot turned out to be a gig back at the French Quarter a couple weeks later. It just so happened that on the night of this gig my friend “D” was playing the Opry and had invited Kelly to go along, so she didn’t arrive at my gig until near the end of the show. She didn’t miss much. While they were getting the royal treatment on the other side of town, I was living a nightmare that was literally an exact duplicate of my first gig with Freddie, only in a nicer club. I mean, it was carbon copy, the same preshow meeting, single file onto the stage, same type of milk toast performance, same bad jokes, same “ba dat boom” following the same bad jokes. Oh yes, there were a few subtle differences; this club, despite being considerably larger than the Radio City Café, had an even smaller crowd (I think six was the magic number on this night), it was in an even scarier part of town, and it had a great PA system which allowed every nuance of Freddie’s bad vocals and jokes to be heard with exceptional clarity. 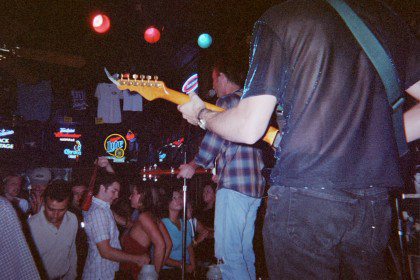 By this point in time Kelly and I had more thoroughly explored the Nashville club scene and had a better idea of what kinds of musical situations might lead somewhere. It was now obvious that this situation wasn’t heading in a very good direction. So by the time I was walking to my car and Freddie approached me I was basically ready to give my notice. Then comes one last surprise. “I need $20 to pay for house sound.” He states matter-of-factly. “What? I thought you were walking out to pay me.” “No, I can’t pay you on this gig. To play here, we have to pay a house sound fee of $100, that’s 20 bucks each.” My look of confusion might have caused him to rethink his strategy and he then blurted out “I’ll tell you what, instead of paying you for the next rehearsal, I’ll just put that money towards the sound fee.” He offered. “That would be great Freddie.” and with that, we drove off, laughing all the way to the poorhouse. I called him the next day and told him that I appreciated him giving me a chance, but his band just wasn’t right for me at this point in time. I had given it my all, and while the music had been largely uninspired, it was the bad jokes that were killing me. I literally could not take one more night of those bad jokes. It was time to see what else this town had to offer.